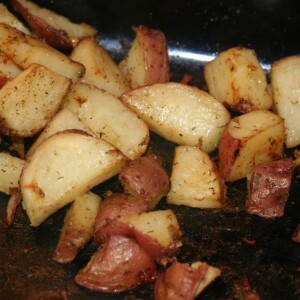 I washed and diced up the red potatoes. I put them in a baking dish and poured some olive oil over them. I sprinkled with house seasoning and a little dried dill seasoning. 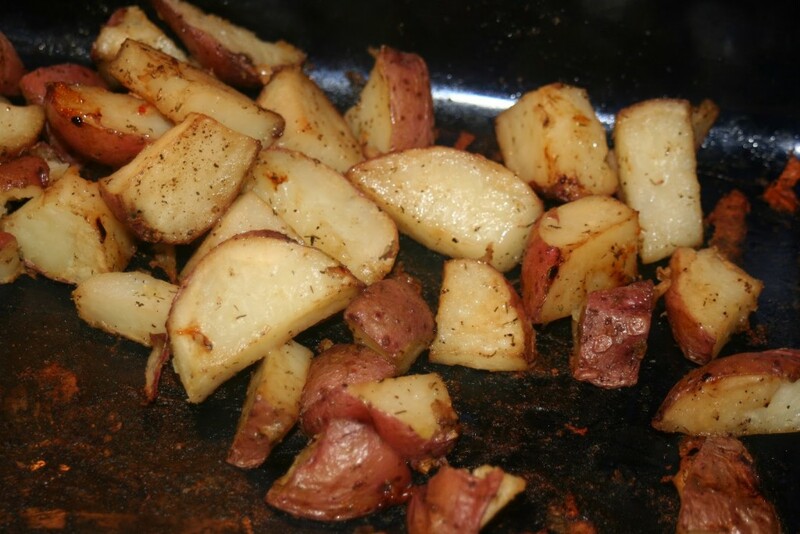 I mixed the potatoes around so that the seasoning would get on each side of the potatoes. I put them in the oven at 350 for 30-45 minutes. I turned them about every 15 minutes.